Do you know how many hurricane categories there are? Yet, you’ve probably read the scary headlines about Category 6 hurricanes. So what’s up? In today’s world of overhyped news, there’s always that scare-mongering click-bait story (often the kind that circulates on social media sites such as Facebook) that declares so-and-so storm a Category 6 hurricane. As a Florida resident, when Hurricane Irma was about to touch down, I had to wade through more than a few widely shared fake news stories saying that Hurricane Irma was a Category 6 storm — or about to become one. Hurricane Irma, by the way, formed in September 2017 and was one of the strongest hurricanes on record. It was also the longest-lasting Category 5 hurricane to form in the Atlantic Ocean during the satellite era. But Irma was not a Category 6 hurricane. What is a Category 6 hurricane? Why don’t Category 6 hurricanes officially exist? Who decides whether or not there’s ever such a thing as a Category 6 hurricane? I’m going to tell you all about Category 6 hurricanes and clear up some common misconceptions about the Saffir-Simpson Hurricane Wind Scale. Category 6 hurricanes are one of the biggest myths in all of popular meteorology. Until the National Weather Service officially declares Category 6 as a real hurricane classification, Category 6 hurricanes exist only in the world of fake news on the Internet. Their myth is perpetuated by headline generators who want to grab attention and scare the public into thinking that the next big hurricane is going to be apocalyptic. It comes down to this: there simply is no such thing as a Category 6 hurricane. Period. When the Saffir-Simpson hurricane categories were developed in 1971 by civil engineer Herbert Saffir and meteorologist Robert Simpson, they created a system in which Category 5 hurricanes represent the most severe type of hurricane. A Category 5 hurricane is classified as catastrophic. And there’s nothing worse than catastrophic. Also, Category 5 hurricanes aren’t confined to a certain range of wind speeds — like lower-category hurricanes are. For example, most other categories in the Saffir-Simpson Hurricane Wind Scale have spreads of about 14 to 26 mph each. Category 5 does not — it includes everything greater than 157 mph. All of those were Category 5 hurricanes. There has never been a Category 6 hurricane. And notice that all of the hurricanes listed above that formed during the social media era (we’ll say those that have formed since 2005) were not as strong as the 3 strongest hurricanes — which all happened before 1990. My point? None of the so-called Category 6 hurricanes you’ve heard about in recent years was ever as strong as (or stronger) than the strongest Category 5 hurricane — Hurricane Allen in 1980 — which occurred well before the era of social media news hype. It seems people are arguing more than ever about the things they see on the Internet — everything from politics to the Boston Red Sox vs. the New York Yankees, global warming, you get the idea. Well, I won’t get into politics, and my mom’s family was from Boston (go, Red Sox). But I’ll be happy to share my thoughts on climate change and Category 6 hurricanes — both of these being concepts that may (eventually, at least) go hand-in-hand and often stir up heated debates among the best of friends. There’s no denying that climate change is real. Virtually all legitimate scientists say climate change is happening. Period. The (probably) debatable part about climate change is whether or not climate change is caused by humans or is part of a natural warming trend happening at the end of the most recent Ice Age. Some scientists even say climate change is indicative of a natural cycle that’s being accelerated by carbon emissions and other human-influenced factors — so a mixture of factors. This might be the most scientifically accurate answer. Though, I’ll leave that determination to the scientists (a group of which I don’t presently consider myself a member). So, as earth gets warmer, hurricanes will likely become stronger and intensify more quickly. 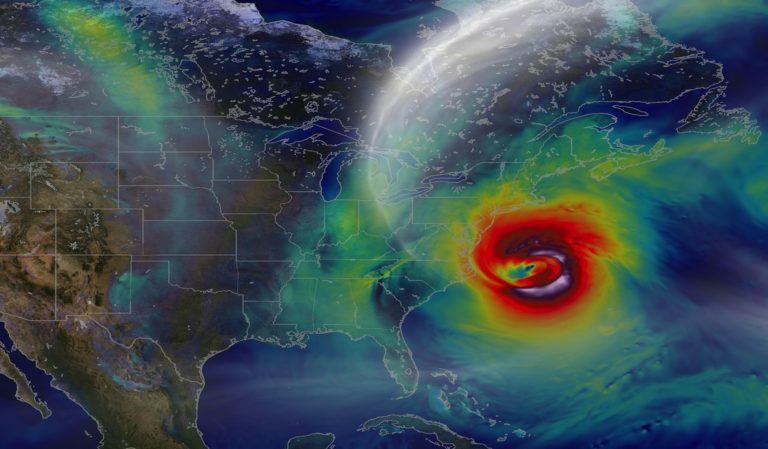 Some argue this trend will eventually necessitate the creation of a Category 6 hurricane classification — to categorize these more frequent, more intense major hurricanes. So… maybe someday meteorologists and other scientists will officially declare Category 6 hurricanes. But, for now, headlines warning of Category 6 hurricanes are fake news — as utterly fake as the whole chemtrail scare. But that’s a conspiracy theory to clobber on another day. Snopes: Was Hurricane Irma A Category 6 Hurricane? How Strong Can A Hurricane Get? Are Category 6 Hurricanes Coming Soon?